Lord Alfred Tennyson’s poem The Lady of Shalott (not to be confused with an onion lady) is one of his more famous poems, and another one that touches on Arthurian mythology. While not directly about the Knights of Camelot, their most famous knight, Lancelot is central to the heart of this story. It is because of Lancelot that the titular lady, who is trapped in a tower unable to leave or look at the outside world, ends up turning her head in a moment of weakness and giving into the curse, trying to follow the knight back to Camelot. It is kind of interesting that this temptation happens because of Lancelot, as later Arthurian stories all have his affair with Arthur’s wife, Guinevere, be one of the major reasons for the fall of Camelot. In particular this reminds of me of one such modern adaptation: Fate/Zero’s rendition of Lancelot and Arthur and how this affair happens. For context, King Arthur in Fate is a woman and thus didn’t really care for Guinevere romantically. She was also emotionally distant and only cared about the outside world and the wellbeing of Britain and Guinevere turned her attention to Lancelot in much the same way The Lady of Shalott did. In both these stories, a woman is tempted by the knight, a symbol of loyalty and Christian values, but in almost opposite ways. Fate’s Guinvere is tired of Arthur’s obsession with the outside world and seeks away from it, while the Lady of Shalott wants to head into the outside world and is lured into it. Both these stories share the same values of female temptation and how it brought about their respective ruins (Guinvere helping cause the fall of Camelot, the Lady of Shalott’s death by curse), and both have one of the most important knights in Arthurian mythology who is normally a symbol of virtue cause this. I found it very interesting that both stories have very similar themes despite being very wildly far apart in terms of time period and medium, and just goes to show how influential and varied a broad work of fiction like Arthurian mythos be interpreted by others. 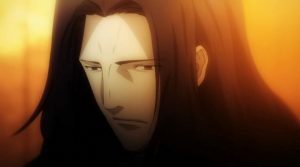 Fig 1: Lancelot from Fate/Zero. Hard to blame either lady for being tempted if he was actually this good looking. It is definitely interesting that in The Lady of Shalott the tempter is male, and the one seduced is female. In all of the other texts that we’ve read that confront temptation, it manifests itself in the form of a temptress, who, in general, does not have her victim’s best interest at heart. Is this poem a warning to young women, urging them to stray far from men who are interested in all but marriage–as was “Goblin Market?” That does not seem to fit here, as Lancelot is gallant and noble, not a seedy character (though he did have an affair with Guinevere. But that was true love!!!). We do not know how the curse came about, but the ambiguity of it might lead one to believe that the Lady of Shalott is undeserving of such punishment, that it is a burden forced upon her by someone more powerful than she. Ahem, the patriarchy maybe?